Over the last two decades Justin Brice Guariglia (b. 1974) has developed a unique transdisciplinary art practice working in collaboration with scientists, philosophers and journalists to develop a more informed, holistic and ontological world view. In doing so, his art has become a research practice to investigate the world, and forge a deeper understanding of important ecological issues of our time. His experimentation with materials, processes, and techniques inform and shape his work, forging new ways of seeing and experiencing the world around us. Guariglia has been collaborating with NASA scientists and flying on earth science missions since 2015. He is currently flying with NASA/JPL’s Oceans Melting Greenland (OMG) mission through 2020, is a 2018 Woods Hole Research Center Fellow in Art, a Howard Foundation Fellow in Photography for the 2017-2018 academic year at Brown University, and was a Simons Foundation Fellow @ New Lab in 2017. Guariglia debuted new work in a recent Storm King show entitled Indicators: Artists on Climate Change which opened in May of 2018. 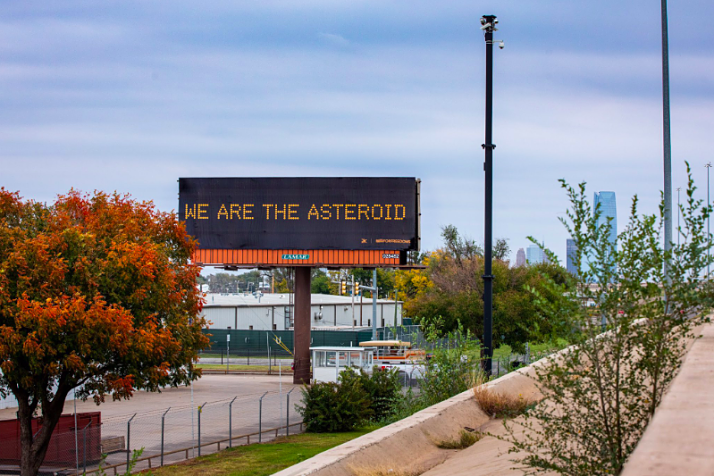 His solo exhibition, Earth Works: Mapping the Anthropocene, recently debuted at the Norton Museum of Art in West Palm Beach in 2017, and in Fall 2018 traveled to the Fischer Museum of Art at USC in collaboration with the LA County Museum of Natural History. Guariglia’s work is in the collections of the Norton Museum of Art, the Museum of Fine Arts, Houston, and numerous private collections. Guariglia also created an iOS app entitled “After Ice” which was developed with the guidance of NASA. The app uses selfies to visualize, personalize and localize sea level rise. It debuted on Earth Day of 2017 and received over 13 million impressions in its first week on the iTunes store. Guariglia later used the app to create a guerrilla installation in public spaces across the city of Venice during the 2017 Venice Biennale.